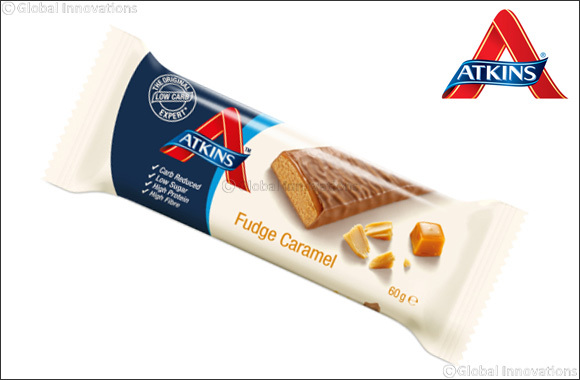 Dubai, UAE, February 28, 2017: The New Atkins Lifestyle has launched a delicious low carb, low sugar Fudge Caramel bar in the UAE. The Fudge Caramel bar makes for satisfying ‘elevenses’ or afternoon snack and is perfect for satisfying a sweet tooth. Scrumptious and satisfying, yet low in sugar and carb treats are hard to come by, but with new tasty addition in the Atkins range, choosing a healthier option couldn’t be easier. Why not indulge in a not so naughty nibble with the new Atkins Fudge Caramel bar. With 55% less carbohydrates than regular fudge caramel bars, it is perfect for those on the go. Swap a Mars for a satisfying Atkins Fudge Caramel bar. The Atkins Fudge Caramel bars will be available at Carrefour across the UAE.